Dog Training That Works for You and Your Dog! 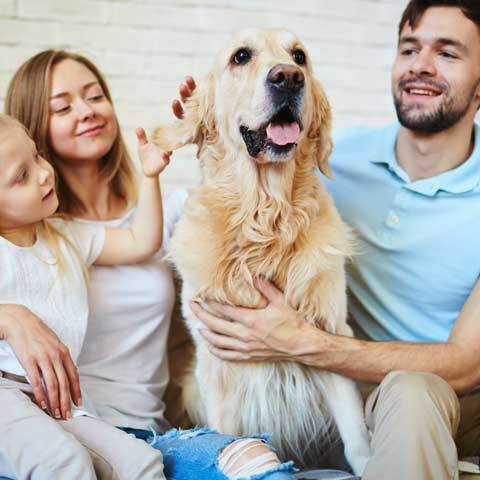 At The Crunchy Canine (formerly Canines In Balance) we understand each dog is unique and therefore we use a tailored approach for each individual client we work with. In order to suit your unique needs, we offer a variety of training options and programs. Once you decide to work with us, we will come up with a plan to help you achieve your goals and have the dog you’ve always wanted! 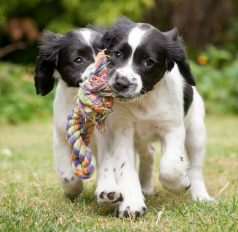 Get your puppy started off on the right track at an early age to set you up for success in the future! Our Puppy Training is far more comprehensive than any of the group classes you hear about. It will teach your puppy the skills needed to become a well behaved companion, beyond basic commands. We cover crate training, potty training, general handling, socialization, manners and more! Learn everything you need to know about raising your puppy in the comfort of your own home with one on one training! Our private in-home training sessions are for those who are looking for a tailored one-on-one approach to training their dog. We offer customized training programs to meet your own unique goals, in the convenience of your own home and neighbourhood on a flexible schedule. We can resolve just about any problem behaviours with private training! Dogs need exercise! No matter their size or age, exercise is vital for a happy and fulfilled dog. Many behaviour issues can be solved simply by giving your dog an outlet to get rid of their excess energy. So if you are short on time, or maybe your dog just needs more exercise than you can give him, our Pack Walks will ensure your dog is good and tired by the time you get home from work. 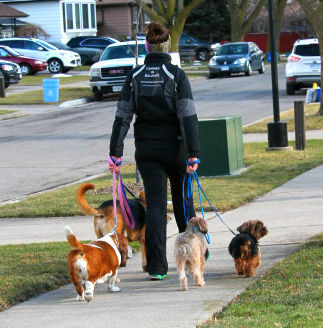 Since we are also dog trainers, dogs who walk with us will also learn proper walking etiquette and manners. We offer a variety of dog walking options to suit your individual dogs needs. We currently serve the lower Stoney Creek area. We’d love to hear about your dog!